Last week, in yet another case of mob lynching a police inspector and a civilian were killed in Uttar Pradesh’s Bulandshahr. The violence erupted following a rumour of cow slaughter after the discovery of cow carcasses in a nearby village. Several hundred people had assembled at the police post to protest against the alleged incident of cow slaughter in the area. Cow related violence is not new in India. However, there has been unprecedented rise in such incidents and since last few years. Media has reported score of incidents of mob violence over either mere suspicion of cow slaughter or illegally transporting cows or trading in or possessing and consuming beef. According to news portal India Spend’s since 2012 about 86 incidents of cow-related violence have been reported in which 33 people were killed. But most of these incidents occurred over the last four years since the Bharatiya Janata Party (BJP) assumed power in May 2014 and from BJP ruled states. In most cases the victims of such violence are either Muslims or Dalits. There are certain features common to all cow related violence. Firstly, in every case attempt is made to justify the violence by evoking religious sentiments of the majority as most of Hindus consider cow as holy and worship her as their mother cow. Secondly, the incident of violence is underplayed by overplaying the issue of cow slaughter. In most cases police cases are slapped against the victims of violence perpetrated by vigilantes to put pressure on them to withdraw cases against vigilantes. Thirdly, the perpetrators of such violence are projected as hero and honored by the BJP and related organizations. There is also growing culture of impunity for perpetrators of such violence. 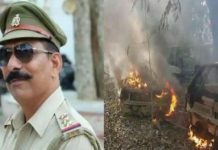 The Bulandshahr incident, however, stands out from the rest as for the first time a police inspector was killed in any such incident and an army man was arrested for his allegedly direct involvement in the firing. Both of these facts must be a cause of worry for all of us firstly, because Indian army is generally believed to be free from communal biases, and secondly if hate mongers can kill a police officer in the name of cow protection one can imagine how safe are minorities and Dalits. The involvement of an army man in the incident points towards a more dangerous thing and that is the fact that communal and hate politics pursued very vigorously in recent years has ultimately and insidiously crept into our armed forces that are generally respected for their impartiality even during communally charged and bitterly polarised atmosphere. Moreover, the BJP led government in the state is trying to under play the whole incident probably due to the alleged direct involvement of some organizations associated with it. The Chief –Minister Yogi Aditya Nath, contrary to the facts, claimed that the Bulandshahr violence that killed the police inspector was just an accident, not mob lynching. 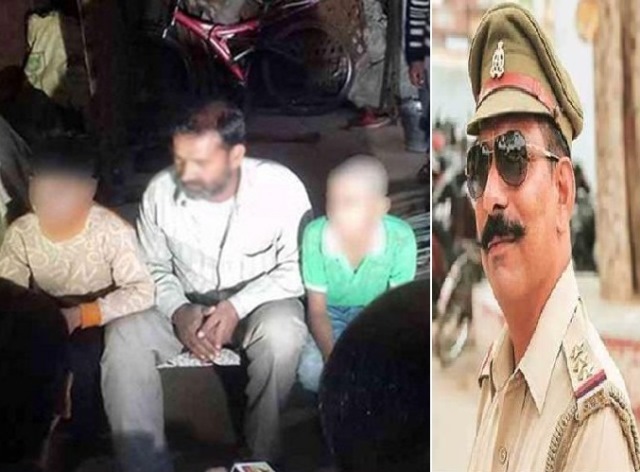 According to media reports the slain inspector had served briefly as investigating officer in 2015 Dadri lynching case and was viewed by members of many right wing organizations as sympathetic to the minorities and they had even sought his transfer just few days before the incident accusing him of creating hindrances in religious ceremonies. Initial investigation of the incident by police points towards a pre-planned attempt at spreading communal tension as a three-day Muslim congregation – Tablighi Ijtema was under way barely 50 km away from the site of the incident and was attended by around 1.5 million people. The protestors led by Bajarang Dal activists mischievously brought animal carcasses in a tractor trolley to the Chingrawathi police post and blocked the Bulandshahr-Garh highway which was supposedly main route of the return of Muslims from the Ijtema, alleging that the carcasses were of cows that had been freshly slaughtered in a field in neighbouring Mahaw village. The local BJP MP even tried to link the incident of cow slaughter with Ijtema. The police were “extra cautious” in view of the presence of large number of Muslims in the area. The slain police inspector, along with other police personnel were trying to pacify the protestors and assured them that a thorough probe would be conducted in the alleged incident of the cow slaughter. But it seems that conspirators of mob had something else in their mind and thus were not ready to listen to the pleas of the police and instead started throwing stones, torching the police post and setting on fire vehicles. The Bulandshahr incident acquires significance against the backdrop of the claim of opposition political parties that the ruling BJP is trying to vitiate the atmosphere of the country to polarize voters on communal lines ahead of 2019 general elections. But the results of the recently concluded Assembly elections indicate that people have defeated the politics of hate and voted for inclusive politics. In connection with the Bulandshahr incident police have registered two separate FIRs- one over the mob violence and other over cow slaughter which allegedly triggered the mob violence. Interestingly police seems to be greatly influenced with their political bosses in handling these FIRs. The UP government has already announced its priority in the matter. The CM has issued directions for strict action against those involved in the alleged cow slaughter, unlawful trade in cattle and illegal slaughterhouses and announced that for any lapse the District Magistrates and other senior police officers would be held personally accountable. However, there appears to be lack of similar promptness and severity in handling the perpetrators responsible for killing of police inspector in the line of duty. It seems that the government is trying to shift the entire focus from a case of mob lynching to that of a cow slaughter. In connection with the case of alleged cow slaughter the police have named seven Muslims. Interestingly out of seven two are minors, some have left village with their families almost a decade ago, and one has been living in Faridabad with his family. Another accused has gone for Ijtima and was not present in the village at all. Though several arrests have been made in this case of mob lynching including the army man but the prime accused Yogesh Raj who is claimed to be the convenor of the local unit of the Bajrang Dal, the youth wing of the Vishwa Hindu Parishad, which is part of the Sangh Parivar, is still at large. 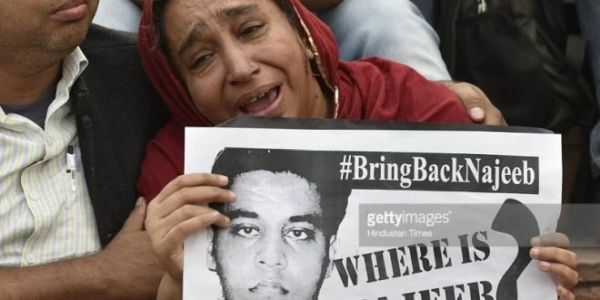 Many fears that since many accused in mob lynching happen to be the workers of the BJP and other organisations affiliated to RSS and enjoy political patronage the task of the police would be not easier. The silence of opposition parties over the incident is shocking. Most of them fear that their reaction on the incident would be immediately projected, to their disadvantage, by the BJP as anti-Hindu and pro-Muslim. We should not forget that democracy is not just about winning the elections by any means but it is also about ensuring rule of law, fighting for justice and, standing by the marginalised. The author is a Professor of Political Science at Aligarh Muslim University, Aligarh. Previous articleKamal Nath as CM: Why India awards people accused of inciting violence? We all know Yogi, Modi and Shah thrive on hate, lies and injustice–Allah will take care of them! But Jamaat kaarguzari rumours say 3 crore male followers attended Bulandshahar Ijtema. Now if they collect 1 rupee from every male follower, Amirul Jamaat Saad sahab could appoint honourable advocate Kapil Sibal to fight for innocence and give support to the families of these boys, by using the 3 crore rupees collected! They waste their precious time and energy in near unhygienic conditions over 3 days–with no real Islamic learning at all, only creating jealousy in certain anti-social elements by their gathering. Only local Markazi or Shahari Ijtema should be organised, with all modern toilet, hygiene, first aid, food and parking facilities–for authentic learning from true Islamic scholars and getting together. Also Allah does not defend sects and ignorance, or those who shun Quraan and saheeh Hadith as the right way of being unified mainstream Muslims. Only a properly selected Shoura Committee of experienced and learned sincere Ulema should be allowed to lead and direct Muslim Tablighi Jamaat as a qualified ” Shoura Committtee” of atleast 11 Islamic scholars to avoid any further mischief! Shaytaan/Iblis can “always” mislead or divert/confuse/conquer the reasonable thinking of a single pious individual (there are no more Prophets after Prophet Mohammed peace be upon him), but can “never” together misguide all of democratically elected consensus group/ Shoura of qualified sincere Ulema in good number, at the same time! May Allah give guidance to all Muslims to unify themselves under righteous Ulema as a single learned and hard-working blessed Ummah!